Welcome to the heart of Yeats Country, the land of poets, music, magical folklore and stunning vistas. 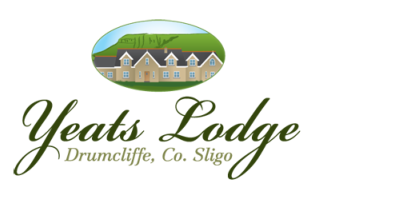 Yeats Lodge is a perfect base for exploring the many sights and experiences of the North West. Our award winning accommodation offers you the opportunity to relax, recharge and experience Sligo’s world famous hospitality. Choose from a wide range of breakfast options served in our spacious and bright dining room with stunning views of Benbulben mountain. Relax in our reading room or catch up with the world with free wifi and satellite TV in the guest living rooms. Stroll around our gardens and maybe feed our free range hens.